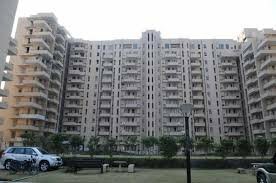 Wembley Estate located in Rosewood City, Sector 50, Sohna Road Gurgaon is a meticulously planned township sprawled over 115 acres of verdant landscape. Wembley Estate, Sector 50, Sohna Road, Gurgaon boosts off an elegant lavish lifestyle and gives untold satisfaction of comfortable living into the heart of the city amidst natural beauty. The advantageous location of Wembley Estate, Sector 50, well connects it with all major places of the city like renowned educational institutes, commercial hubs, metro stations like Sikander Pur, MG Road, shopping malls, healthcare centres etc. Besides the above this place is just 20 minutes drive from Indira Gandhi International Airport and just about a 15 minutes drive from the Gurgaon Railway station and bus stand. Wembley Estate provides widest range of housing options ranging from 194, 240, 287 & 360 sq. yrds. to independent 2BHK, 3BHK and 4 BHK apartments with and without study. All the apartments of Wembley Estate are unique in style and comfort which are well equipped with all the modern day facilities like imported marble flooring with borders of Indian marble in living room, acrylic emulsion paint on the walls, hardware door frame with European style flush panel and windows, master bedroom is wooden floor and vitrified tile in other bed rooms. Ceramic tiles on the floor in the spacious kitchens, granite counters with stainless steel sink enriches the experience of cooking. Granite/marble counters, white sanitary fixtures, C.P. fittings, hot & cold water supply, ceramic tiles on the floor and on walls of toilets. Balconies are made with anti skid ceramic tiles and lift lobbies with granite/marble. With all the above specifications all apartments in the Wembley Estate are made according to the Feng Shui and Vaastu norms.